Dirk Bogarde (1921-1999), who portrayed numerous gay and bisexual men on the screen, spent his entire career sublimating or denying his true sexual orientation. 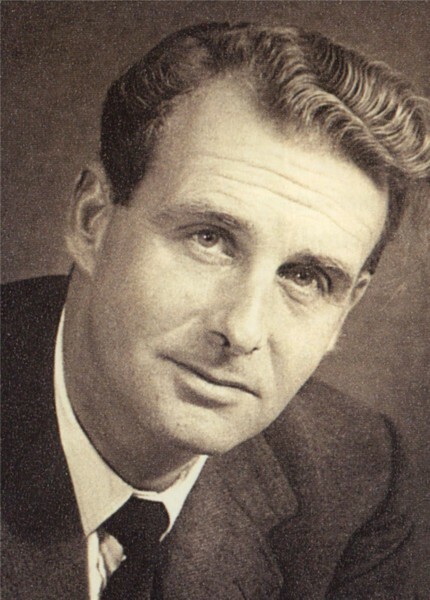 He wanted more than anything to be regarded as a straight leading man. 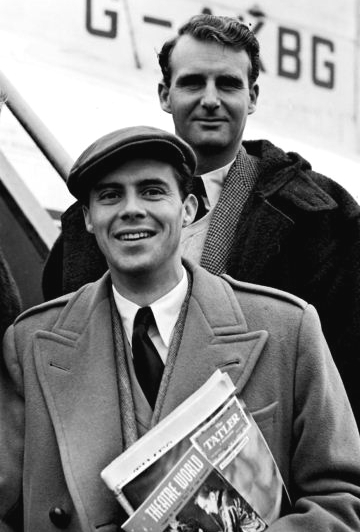 He was called the British Rock Hudson for his good looks and appealing on-screen persona, but the two actors had more than beauty and acting style in common. Bogarde aspired for an international film career, not one limited to British audiences. 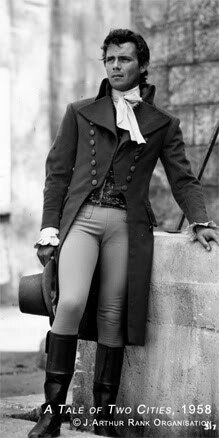 Yet he blamed the utter failure of his sole Hollywood film, Song Without End, in which he portrayed Hungarian pianist Franz Liszt, on anyone other than himself. He blamed his contract with the Rank Organization for limiting him to a long stream of British films, and he complained that he was grossly underpaid. 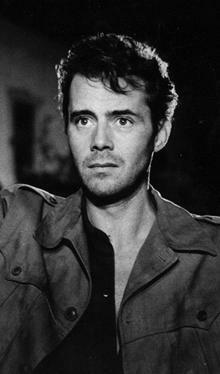 Bogarde’s talent as a writer was often put to good use in embellishing screenplay dialogue. In the film Dirk’s character, lawyer Melville Farr, is confronted by his beautiful wife, Laura (portrayed by Sylvia Syms*), who demands an explanation of who this boy Barrett was, how they knew each other, and why Mel stopped seeing him. *Younger readers might recall Ms. Syms as the Queen Mother to Helen Mirren in “The Queen” (2006). Well, this was a film in which a real life gay man was portraying a gay character, a lawyer who tries to right an injustice involving blackmail for being gay. The Victim was the first movie in which the word "homosexual" was spoken on screen, and Bogarde later took credit for writing-in the scene that was the first instance of a man saying "I love you" to another man. 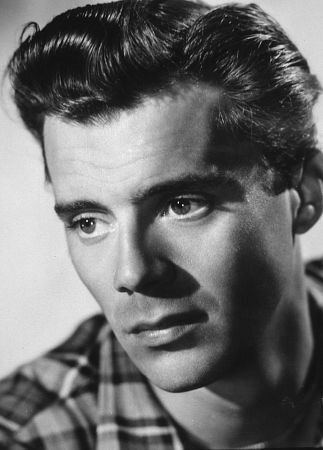 Unfortunately, this film all but ended his career as a leading man, yet it opened the door to later brilliant film portrayals as a character actor. 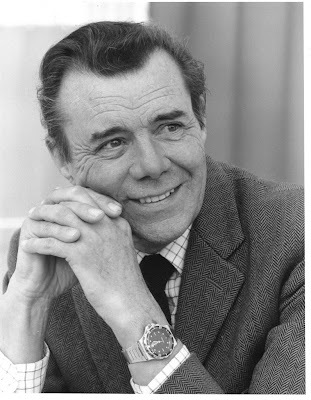 Bogarde was knighted in 1992 for his contributions to acting. The impact of this film cannot be overstated. As American film makers were struggling to make homosexual material acceptable to the Hays Code** and the Legion of Decency***, this British film appeared in which an explicitly gay character actually stood up to fight a system that oppressed homosexuals. 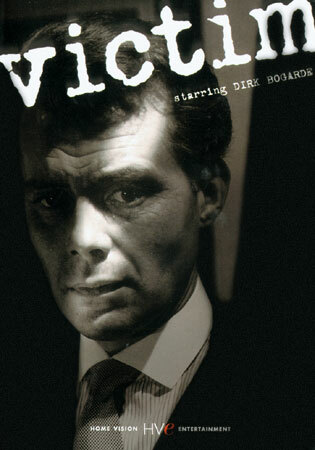 In "Victim," Dirk Bogarde was the screen's first gay hero. **Hays Code (1930-1968): film censorship standards named after Presbyterian elder Will Hays of Indiana, who served as Postmaster General in the cabinet of President Warren Harding. Hays had also served as head of the Republican National Committee. The Supreme Court had already decided unanimously in 1915 that free speech did not extend to motion pictures, and the Hays Office codified objectionable material. Enforcement began in 1934, when the release of any film was held up until the movie studio acquired a certificate of approval from the Hays Office. If a gay character was allowed in a film, that character was open to scorn and ridicule, and most often died by the end of the movie. It was not until after the Hays Code was replaced by the current rating system in 1968 (G, PG, R, N17) that a movie appeared in which gays celebrated their sexual orientation, not to mention that all the gay characters were still living when the end credits rolled – Boys in the Band (1970). ***Legion of Decency was established by the American Catholic Church in 1933, with even stricter standards. Their clout was the constant threat of massive boycotts against films that did not meet their moral standards.